Shree Bikaner Property is one of the top real estate companies located in Bikaner, Rajasthan, well-known for providing effective and reliable Vastu Consultancy with the intention of benefiting the clients with the proper application of vastu. We have with us skilled and experienced vastu experts who with their expertise in this field can provide effective vastu solution and bring joy and prosperity in the personal and professional life of the clients. Specializing in Indian Vaastu, our experts create a perfect balance between the five elements viz. between the five elements viz. Earth (Bhumi), Water (Jala), Air (Vayu), Fire (Agni) and Space (Akasha) and help the clients to get rid of various â��doshasâ�� and help you and your loved ones attain fulfillment and joy in life. 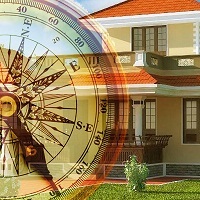 Currently we are offering Vastu Consultancy for Residential Property and Commercial Property.